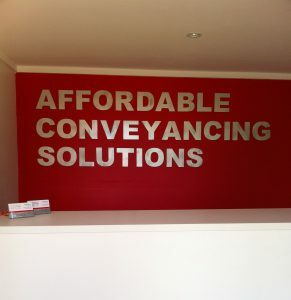 At Affordable Conveyancing Solutions we specialise in all kinds of property transactions including residential sales, purchases and refinances. Our aim is to provide you with quality conveyancing services at minimal cost and minimal inconvenience to you. We are a dedicated conveyancing practice, and therefore can focus on your particular matter, keeping you advised throughout the whole process. As buying or selling a home is likely to be one of the biggest financial decisions you will ever make, it is important that you use an experienced conveyancer that you can trust. Affordable Conveyancing Solutions is experienced in all aspects of conveyancing in NSW, and can help guide you through the process, advising on how the most current laws may affect your transaction. From our initial consultation, we can advise you on your conveyancing matter with respect to your individual circumstances. We will ensure that you are fully aware of all of your rights and responsibilities prior to any contracts being signed, or transactions taking place.